For long-range shooting, slugs and muzzleloaders. When your shot hits these Birchwood Casey Targets, they explode in a ring of color that's visible to the naked eye. Easy-application adhesive back. Self-storing package protects Targets. 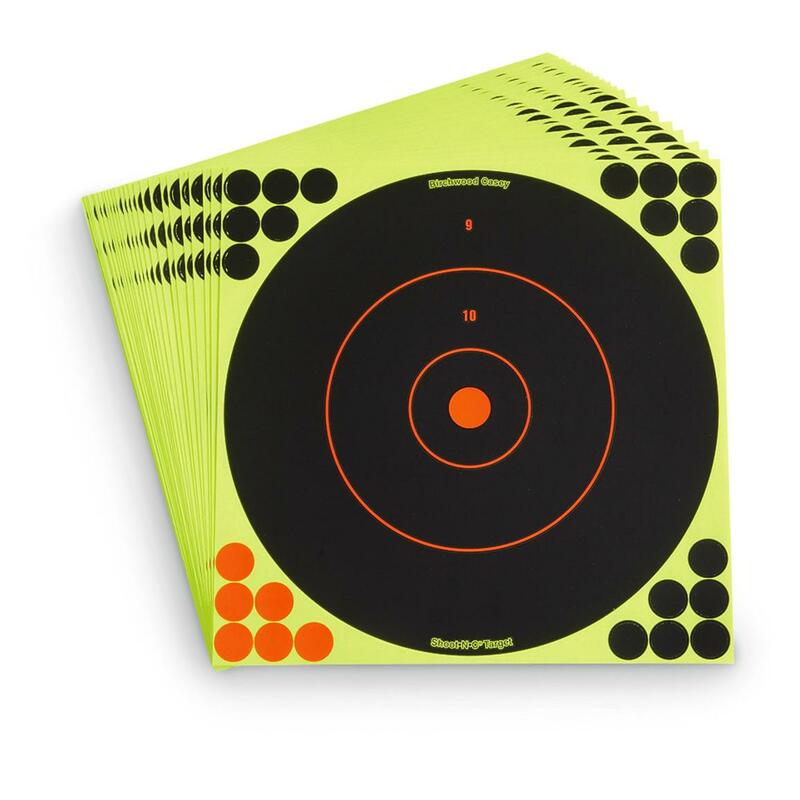 Includes 25 reactive paper targets. 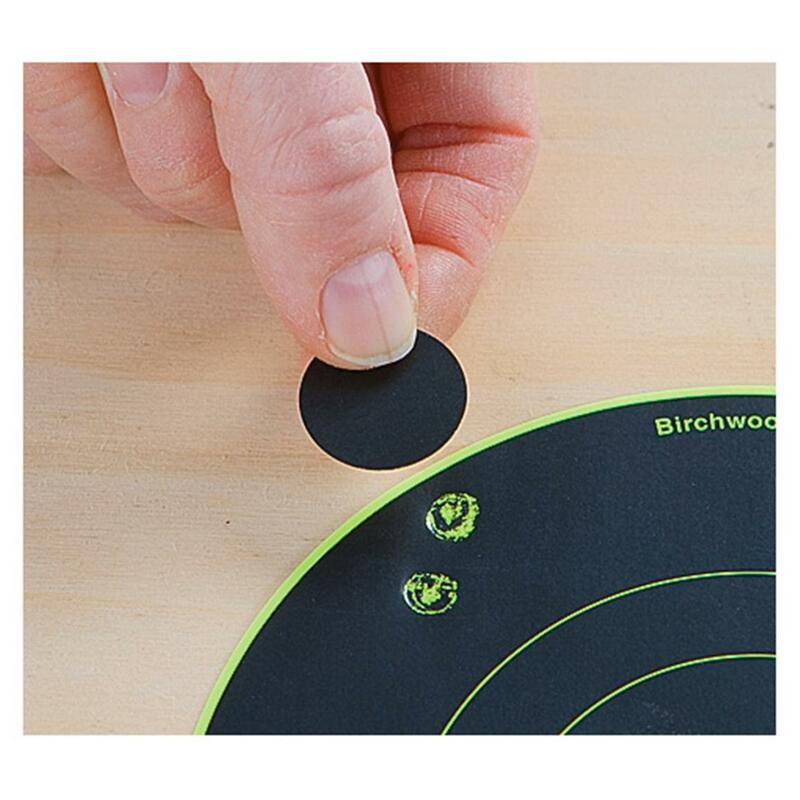 Birchwood Casey Reactive 12 Paper Shooting Targets, 25 Pack is rated 4.8 out of 5 by 218. Rated 5 out of 5 by Bmik6 from Great targets Love em. Can’t beat the price. Rated 5 out of 5 by Rocky from Great at the indoor range.. love the fact you can use the the dots to cover holes over and over again.. Rated 5 out of 5 by Hoyt 62 from Great product Great view of your shot without having to walk down to it. Rated 4 out of 5 by marty20 from works splendifferously work great at my indoor pistol range...love these as well as the 12"
Rated 5 out of 5 by Rooster from Great price and great service The price was a good price and after placing the order the productwas received promptly. The staff was a great help in placing my order.Thank you so much. Rated 5 out of 5 by Mick from Great Price for these targets Good price for reactive targets. These really make hits easy to see, but you can still see the clean hole. I didn't realize these targets will peel off the backing and will stick to about anything - or use as is. They are nice and stiff when left on the backing. I'm happy with this purchase. Each measures 23"w. x 35"h.